The presented case is a 50 year old female without known medical history. She was presented on the E.R. 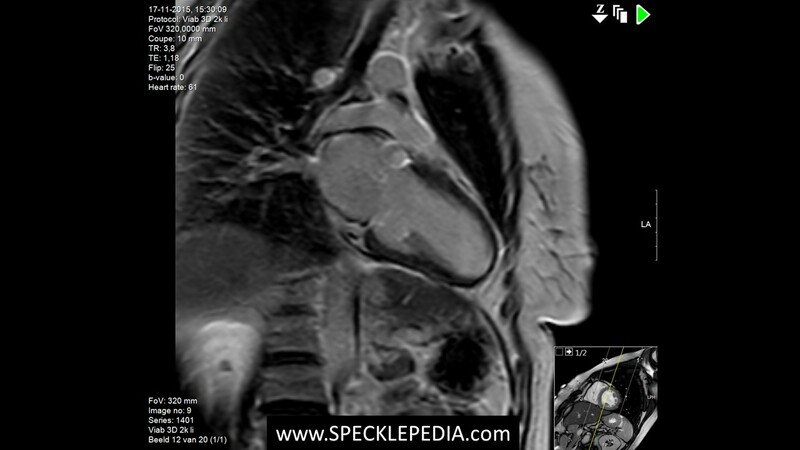 with acute chest pain and dyspnea. The ECG showed ST elevations suggestive of an anterior wall myocardial infarction. 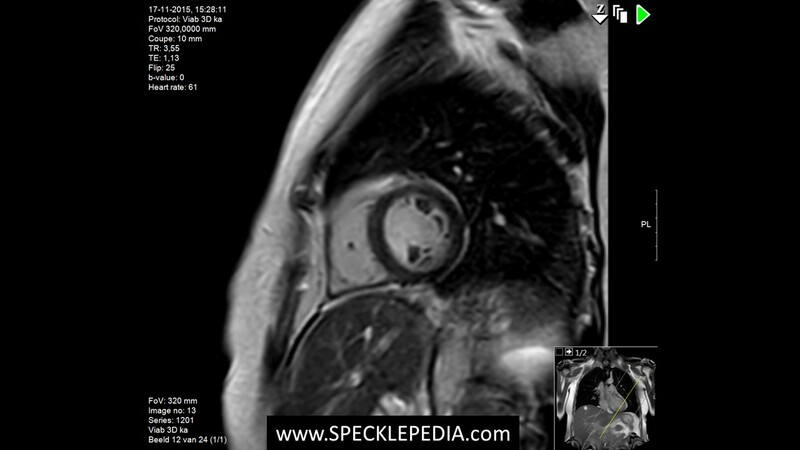 An emergency angiography revealed normal coronary arteries and no occlusions. We performed an ultrasound which revealed the following: There is a severe reduction in LV systolic function with an LVEF of <30%. The basal segments are hypokinetic and all other segments seem akinetic. 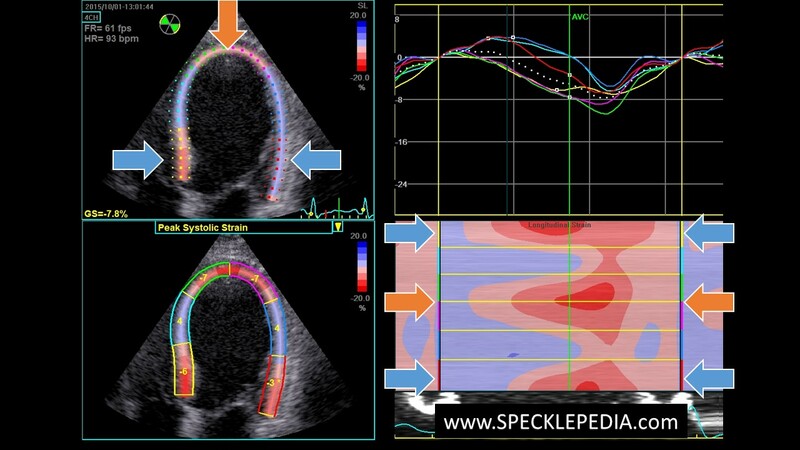 Deformation imaging shows clear abnormalities with a positive strain in the midventricular segments (dyskinetic) and reduced longitudinal shortening in the basal and (surpisingly) in the apical segments. 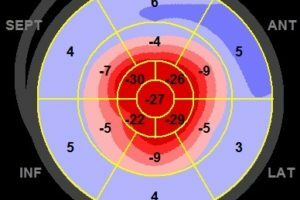 These findings do not fit with ischemia / myocardial infarction, since it does not correlate to any coronary artery territory. This patterns fits best with an uncommon form of stress-cardiomyopathy, or Tako-Tsubo cardiomyopathy: midventricular TT-CMP. Above is the 4 chamber view where it can be appreciated that the basal septal and basal lateral wall (blue arrows) still show some longitudinal deformation, albeit severely reduced (minus 6%). 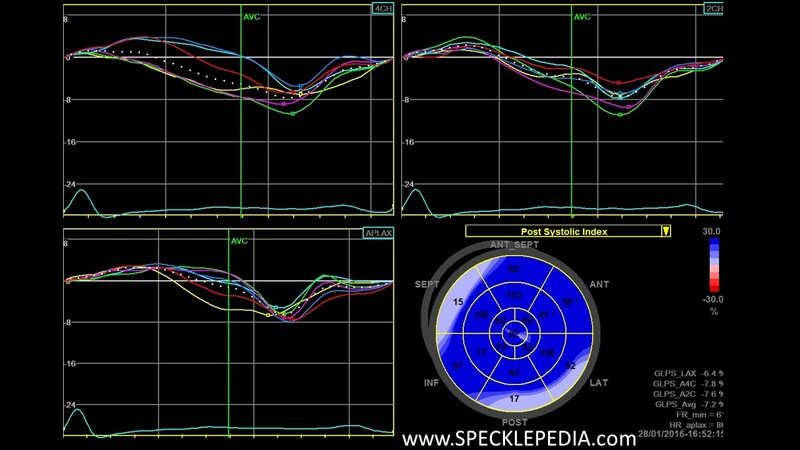 The apex (orange arrow) also shows some longitudinal deformation of minus 7%. 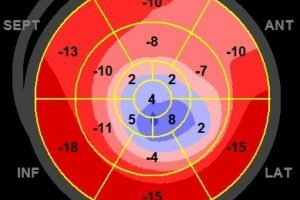 The entire midventricular segment is stretched throughout systole, corresponding to the positive longitudinal strain values of +4%. 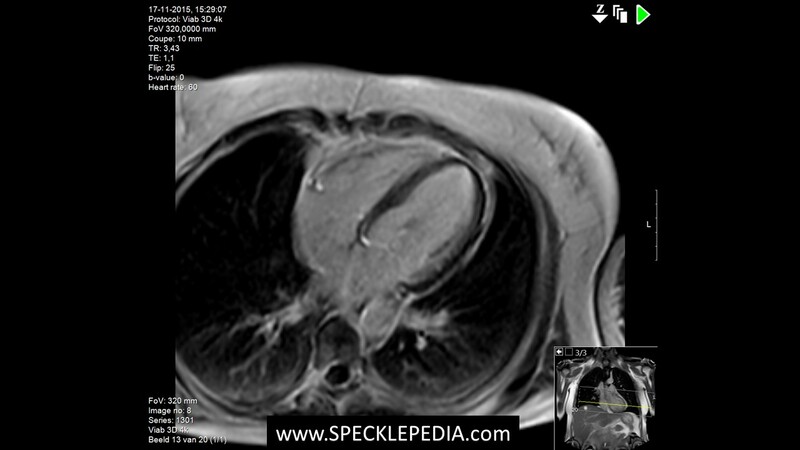 We performed an MRI after patient was discharged (one month after initial episode). 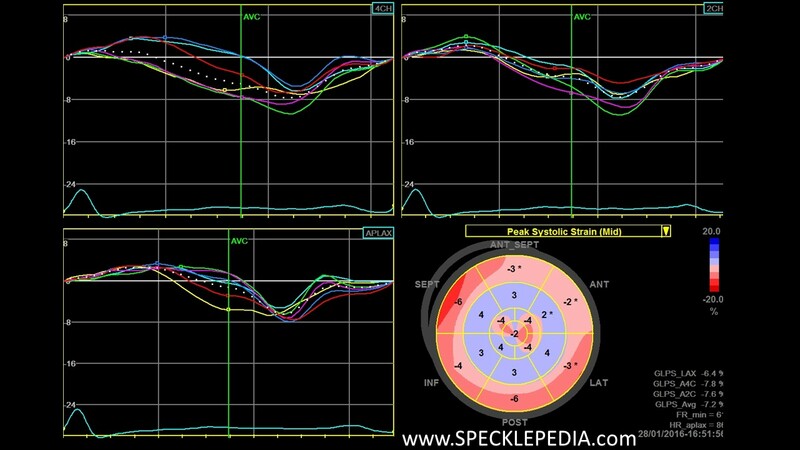 This showed a complete recovery of LV systolic function and no delayed enhancement.